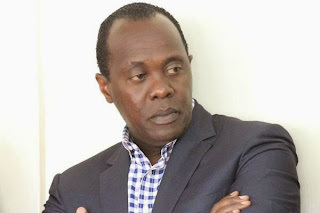 TV presenter Jeff Koinange has been released on bail after being arrested earlier today. Koinange who appeared on Milimani court Nairobi where he was taken after being arrested for contempt of court. An arrest warrant was issued last week for Jef Koinange and Tony Gachoka by Nairobi senior resident magistrate Maisy Chesang for failing to appear in court. Gachoka and Jeff are being accused of disscusing businessman Jimi Wanjigi, Sani Mbui Wanjigi and the Kwacha Group of Companies Limited during the ‘Jeff Koinange Live’ show, despite a court order stopping them from doing so. The two have been directed by Justice Weldon Korir to serve the Attorney-General and the magistrate’s court with their application for inter-partes hearing on Wednesday.